The latest model of the Porsche 911 GT3 R is based on the second generation of the 991 series. The racer is still powered by a four-litre six-cylinder boxer engine capable of reaching up to 550 hp. However, the main distinctions from its predecessors are the improved aerodynamics, enhanced driveability, advanced optimisation to safety features, and reductions in servicing and parts costs. The development vehicle driven by Manthey-Racing, the Porsche works team, has already been entered in selected VLN races to date; now it will debut at the Nordschleife track – on Falken tyres. The front axle will be fitted with a larger size (300/680R18 instead of 300/660R18), while the tyre size for the rear axle will remain unchanged. 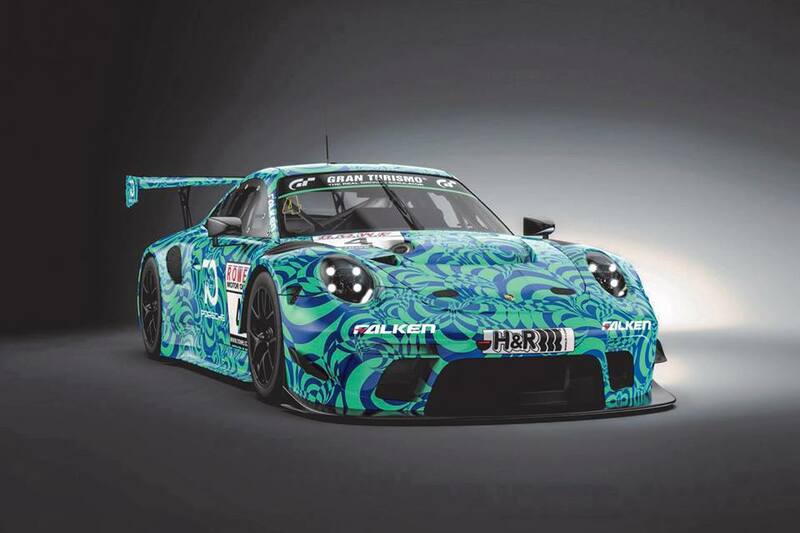 In terms of visual design, the Falken vehicle will reference the stunning Erlkönig wrap design which featured on Manthey’s yellow Porsche, but will have the brand’s signature turquoise finish. The real-life test, conducted jointly by Manthey/Porsche and Schnabl Engineering/Falken Motorsports, marks the continuation of Falken’s success story which began in 2011. The major achievement of the tyre brand so far has been the double win in the last VLN race by Martin Ragginger (A) and Klaus Bachler (A) in their Porsche 911 GT3 R, beating team colleagues Stef Dusseldorp (NL) and Alexandre Imperatori (CH) in a BMW. As the 2019 model of the 911 does not yet hold valid FIA approval, Falken will be a non-competitive entrant in the SPX class and receive 20 seconds of bonus time per pitstop. Falken stalwart Martin Ragginger will share the wheel with the Porsche works drivers Nick Tandy (GB) and Laurens Vanthoor (BE). Driving duties in the BMW M6 GT3 will be divided as scheduled between Scottish driver Peter Dumbreck and Stef Dusseldorp. The 58th ADAC Reinoldus Endurance Race will start at Nürburgring on 22 September 2018 at 12:00 noon. The total race time will be four hours.